A while back I wrote an article about how female artist are often pitted against each other. Usually the comparison is shallow and chauvinistic. However this is a case where even I can’t help but pair them up. They even have specifically similar names?! Azealea Banks came onto the music scene in late 2011 with her hit single 212. There was early buzz that she could be the next Little Kim. Oddly her growing popularity and push from 212 was never capitalized on. You and I may not be music producers but even we know that if a single is taking off there should be a full album shortly coming on its heals. That’s a no brainer. Unfortunately she was so hipster and indy that the song only had a small EP that came out a year later. I can’t tell if it was mismanagement by the record company or just artistic laziness on her part. Either way fans waited for a full album that never came. Supposedly her debut album is set to be released this summer. 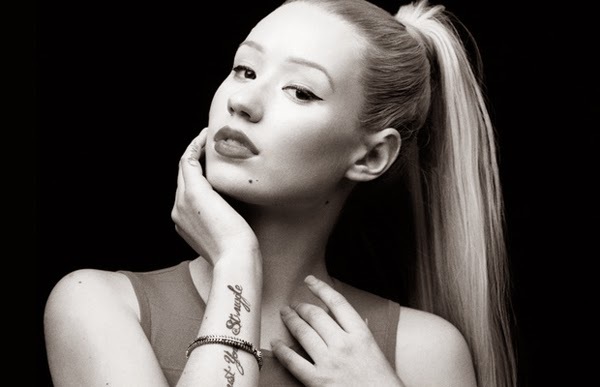 Iggy Azalea is an Australian up and coming rapper who’s sound is very similar to Azeala Banks. Iggy is starting to get the same kind of buzz that Banks got a year or two ago with her hit single Fancy. While both girls are young and new to the music industry, it seems Iggy is much more prepared for her climb to success. Her debut album, The New Classics, was released last week. While Azealea Banks has been wasting time doing god knows what, an Ausie has come along and taken her place. Back in 2011-2012 there wasn’t much competition in the female rap world. Nicki Minaj was the only one in the game and the public was already starting to get sick of her. It felt like Banks had an open path to success. Now with Iggy on the scene the rap race just got a little more crowded. While the race isn’t over yet it’s looking harder and harder for Banks to compete. It’s tough enough to make an impression based on musical talent. But as we all know success is never based on talent alone. In fact one rarely has any impact on the other. We live in a world where image plays a major a role. Advertisers and image makers have a narrow cookie cutter image map from which they work. When you start to compare Iggy and Banks from a marketing stand point things only get worse for Banks. 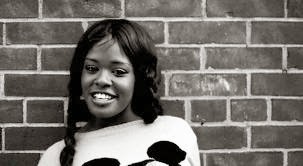 Azealea Banks is a pretty black girl with a big smile. She gives off the party girl next door vibe. There is nothing wrong or flawed in her presentation. Unfortunately Banks is still at a disadvantage. It’s not that she is doing something wrong it’s that Iggy has won the social lottery. This is where I should probably mention that Iggy Azalea is also a model. Seriously. She was signed to Wilhelmina Models in 2012. Whomever you are and whatever your career is, you never want to go up against someone with equal talent who also happens to be a model. We live in a culture where a pretty blond girl is immediately appealing. I guess harsh sexual lyrics are easier to digest if paired with a socially safe image. There has always been criticism in the music industry that white people become much more famous and successful for doing what black musicians have already done. Rock and Roll originated in black culture despite Elvis Presley getting most of the fame and credit. Blond boy Eminem shot to national stardom and outsold all of his black contemporaries in the early 2000s. Most recently Miley Cyrus caused a stir because she was twerking on stage despite the practice existing for many many years before she and Robin Thicke came along. General society still tends to ignore black culture until a white person does it. It’s as if society needs a white person to give a condescending stamp of approval. Sadly I think Iggy Azalea will be another in the long line of many who will out pace her fellow musicians just because someone thinks she looks good on the cover of a magazine.